Your information is safe with us. It will not be shared to third parties. 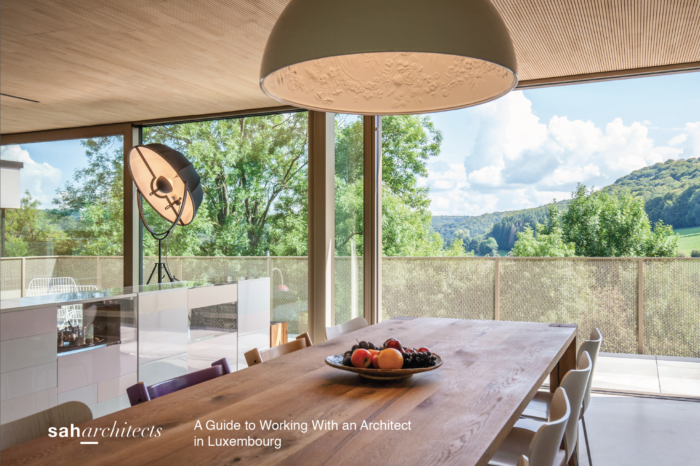 Although there is a general process that most architects in Luxembourg follow, not all architects will provide you with the level of engagement that we do. 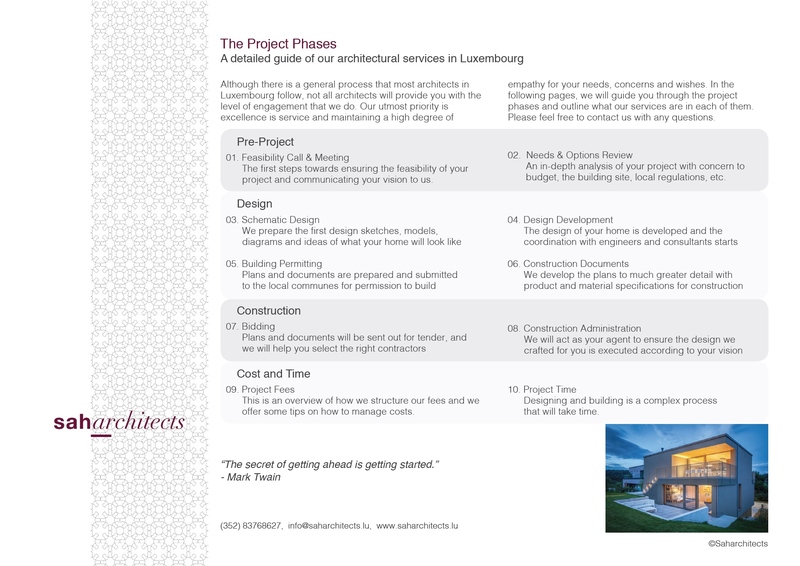 In this guide, we will go through the project phases and outline what our services are in each of them. 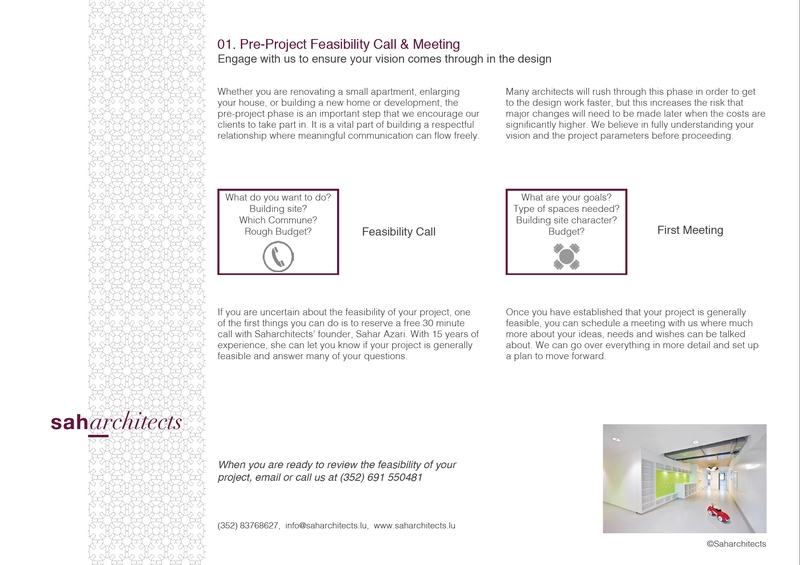 We have detailed descriptions of the pre-project Needs & Options review and what we do in all of the design and construction phases. 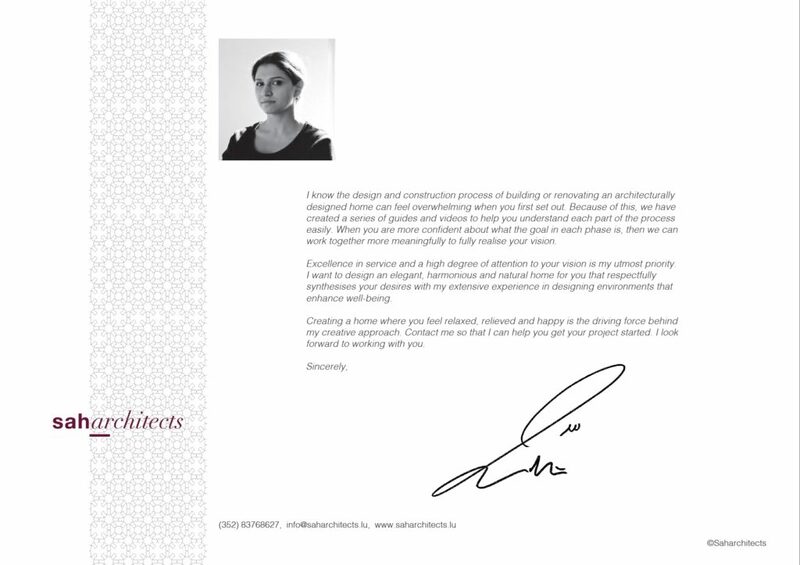 We also cover architectural fees and the time it takes to build your project. Preview the first three pages by clicking on the images below and click the button above to download the guide.